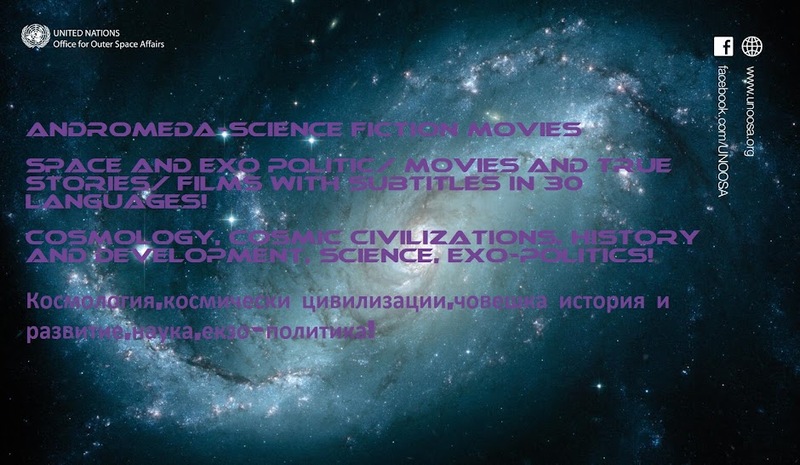 ANDROMEDA-Science Fiction Movies and Music: THE BEST SCIENTIFIC PUBLICATIONS - WHERE WE ARE?! BRADVA.BG1. This is the Earth! This is where you live. NASA Goddard Space Flight Center Image / Via visibleearth.nasa.gov2. And this is where you live in your neighborhood, the solar system. Via foxnews.com3. Here’s the distance, to scale, between the Earth and the moon. Doesn’t look too far, does it? Nickshanks / Via commons.wikimedia.org / reddit.com4. THINK AGAIN. Inside that distance you can fit every planet in our solar system, nice and neatly. PerplexingPotato / Via reddit.com5. But let’s talk about planets. That little green smudge is North America on Jupiter. NASA / John Brady / Via astronomycentral.co.uk6. And here’s the size of Earth (well, six Earths) compared with Saturn: NASA / John Brady / Via astronomycentral.co.uk7. And just for good measure, here’s what Saturn’s rings would look like if they were around Earth: Ron Miller / Via io9.com8. This right here is a comet. We just landed a probe on one of those bad boys. Here’s what one looks like compared with Los Angeles: Matt Wang / Via mentalfloss.com9. But that’s nothing compared to our sun. Just remember: Via Twitter: @maiwandafghani10. Here’s you from the moon: NASA11. Here’s you from Mars: NASA12. Here’s you from just behind Saturn’s rings: NASA13. And here’s you from just beyond Neptune, 4 billion miles away. NASATo paraphrase Carl Sagan, everyone and everything you have ever known exists on that little speck.14. Let’s step back a bit. Here’s the size of Earth compared with the size of our sun. Terrifying, right? John Brady / Via astronomycentral.co.ukThe sun doesn’t even fit in the image.15. And here’s that same sun from the surface of Mars: NASA16. But that’s nothing. Again, as Carl once mused, there are more stars in space than there are grains of sand on every beach on Earth: Via science.nationalgeographic.com17. Which means that there are ones much, much bigger than little wimpy sun. Just look at how tiny and insignificant our sun is: Via en.wikipedia.orgOur sun probably gets its lunch money stolen.18. Here’s another look. The biggest star, VY Canis Majoris, is 1,000,000,000 times bigger than our sun: Via youtube.com………19. But none of those compares to the size of a galaxy. In fact, if you shrank the sun down to the size of a white blood cell and shrunk the Milky Way galaxy down using the same scale, the Milky Way would be the size of the United States: Via reddit.com20. That’s because the Milky Way galaxy is huge. This is where you live inside there: Via teecraze.com21. But this is all you ever see: Via Twitter: @lucybrockle(That’s not a picture of the Milky Way, but you get the idea.)22. But even our galaxy is a little runt compared with some others. Here’s the Milky Way compared to IC 1011, 350 million light years away from Earth: Via Twitter: @smokeinpublicJust THINK about all that could be inside there.23. But let’s think bigger. In JUST this picture taken by the Hubble telescope, there are thousands and thousands of galaxies, each containing millions of stars, each with their own planets. Via hubblesite.org24. Here’s one of the galaxies pictured, UDF 423. This galaxy is 10 BILLION light years away. When you look at this picture, you are looking billions of years into the past. Via wikisky.orgSome of the other galaxies are thought to have formed only a few hundred million years AFTER the Big Bang.25. And just keep this in mind — that’s a picture of a very small, small part of the universe. It’s just an insignificant fraction of the night sky. Via thetoc.gr26. And, you know, it’s pretty safe to assume that there are some black holes out there. Here’s the size of a black hole compared with Earth’s orbit, just to terrify you: D. Benningfield/K. Gebhardt/StarDate / Via mcdonaldobservatory.orgSo if you’re ever feeling upset about your favorite show being canceled or the fact that they play Christmas music way too early — just remember…This is your home. By Andrew Z. Colvin (Own work) [http://CC-BY-SA-3.0 (creativecommons.org) or GFDL (gnu.org)], via Wikimedia CommonsThis is what happens when you zoom out from your home to your solar system. And this is what happens when you zoom out farther… By Andrew Z. Colvin (Own work) [http://CC-BY-SA-3.0 (creativecommons.org) or GFDL (gnu.org)], via Wikimedia CommonsAnd farther… Above image by Andrew Z. Colvin / Via Wikipedia CommonsKeep going… Above image by Andrew Z. Colvin / Via Wikimedia CommonsJust a little bit farther… Above image by Andrew Z. Colvin / Via Wikimedia CommonsAlmost there… Above image by Andrew Z. Colvin / Via Wikimedia CommonsAnd here it is. Here’s everything in the observable universe, and here’s your place in it. Just a tiny little ant in a giant jar. Above image by Andrew Z. Colvin / Via Wikimedia CommonsOh man.